It was a sad day when I found out Robert Jordan had passed away after fighting cardiac amyloidosis in September of 2007. 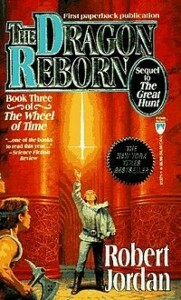 I, like many fans of Fantasy, had become immersed in the Wheel of Time. 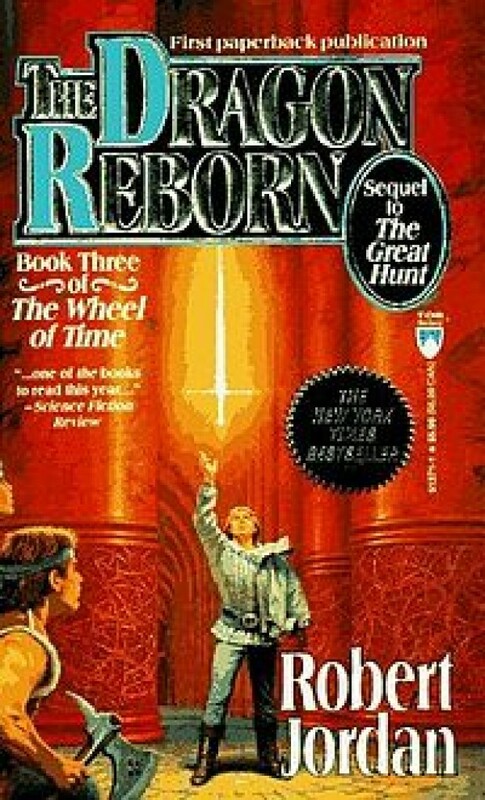 From Christmas of 1993 when I received the first two books, ‘The Eye of the World’ and ‘The Great Hunt’, as gifts from my mom, I had been hooked on the world. 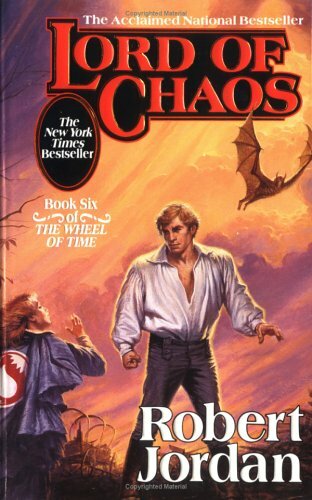 I spent the two year gaps between books going on the now defunct Wotmania reading theories and obsessing over cryptic prophecies and vague fortellings, all to try and figure out just how Robert Jordan planned on finishing the series. I had my grand theory, some were right, and others were very wrong. Robert Jordan knew how to foretell and plant Chekhov’s guns like no man. 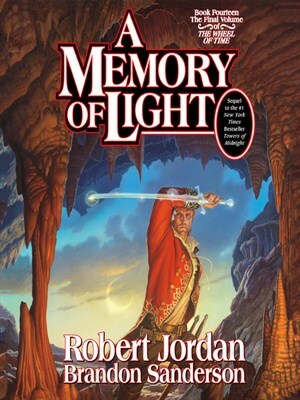 Now that the entire series has been released, finished by Brandon Sanderson and Jordan’s widow, you can see plot threads set up in the early books that only pay off in the final chapters. It’s astonishing. There are thirteen books, big books, door-stopping books, that are meshed together brilliantly. From this carefully and meticulously constructed books, I learned about the amazing power of foreshadowing. No one likes deus ex machina. It’s never satisfying when the solution for a problem comes out of left field. Now when you can plant all the seeds that blossom into your climax, tens or hundreds of pages earlier (and in Jordan’s cases, thousands of pages), you’ve rewarded the careful reader who caught all the little breadcrumbs, and while they didn’t understand the trail they are following, when they get to see it in all come together, they feel rewarded. They tell their friends about his amazing ending, urging them to read it. 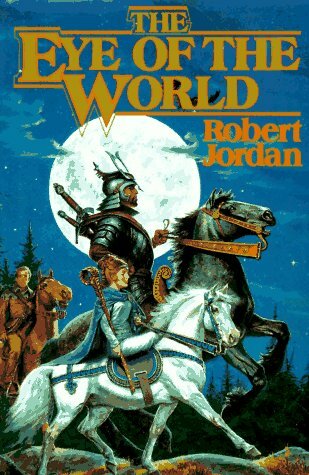 Foreshadowing was the first lesson I learned from Robert Jordan, but the second lesson has had the most impact on my writing—limited POVs. The unreliable narrator. Robert Jordan’s limited, third-person narrative seems to have a lot of impact on the Fantasy genre. Whether Jordan’s responsible, or just one of the earliest to adopt this, it seems to have taken over the genre. Why? Because it works. Limited third person lets you delve deep into a characters thoughts, almost as deep as first person, allowing the reader to experience the world through the character’s senses, coloring them with their thoughts and prejudiced. And misunderstandings. So why not write in first person? For a very focused and intimate story examining a single character, first person excels, but if your trying to tell a story with multiple characters sharing the limelight, first person is not quite as good. It can be confusing to the reader whose thoughts there. Third person limited can maintain that feel of first person, while still giving readers enough outside references, such as blatantly stating the character’s name, to clue the reader in. Of course, if you are extremely confident in your first person skills, feel free to write a story with multiple, first person POV’s interwoven together. Jordan’s limited, third person, unreliable narrator has the biggest impact on my writing. I find myself drawn to the style, writing my POV’s firmly locked into one character’s head and not skipping about every few paragraphs or staying wholly remote from the entire mess. I prefer the way it lets you intimately know a character while allowing plenty of opportunities for obfuscation and misdirection to keep your readers guessing at the secrets you’re hiding in your plot. 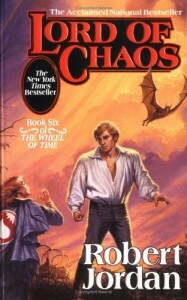 Foreshadow and strong characterization is what I learned from Robert Jordan. Don’t cheat your readers with a deus ex machina ending and let them come to know and love your characters as much as you do, and you’ll find yourself with a loyal fan base that cares about your work as much as you do. In the beginning, all was darkness. Priopii, the Sky, found her existence dreary and lonely. Everywhere she existed was the same—black, empty, void. Out of her loneliness was born a world for her to gaze upon, a single, round gem floating at the heart of her—Welkinia. But the Welkinia was a dead world, made of hard, brown rock and, after a time, Priopii’s loneliness intensified. She wanted to create life. To bring and sustain life on her dark world, Priopii gave birth to two sisters: Riasruo the sun and Theisseg the storm. Riasruo’s warmth and light shone down on Welkinia and Theisseg’s storm spread sustaining water about the world. Priopii created all the plants that grew green across the brown world, and populated with earth with animals, the skies with birds, and the seas with fish. To light the night sky, she birthed the twin brothers: Twiuasra the swift, blue moon and Jwiaswo, the graceful, red moon. And last, Priopii breathed life into the five, Mortal races: the bird-like Luastria for the mountains and skies, Humans for the plains, the serpent-like Szezziith for the forests, the mole-like Zalg for the earth, and the crab-like Threv for the waters. For a time, peace reigned, but soon jealousy and resentment creeped into the world. Riasruo, the sun, loved to shine bright on the world, particularly the Luastria who dwelt the closest to her, but she grew to hate when Theisseg’s storms would block her sight. And Theisseg, who spread life-giving water across the world, grew to resent the way the Mortals loved her sister, the sun, and cursed her storms. Growing bitter, Theisseg made war upon her sister and peace was forever shattered. Priopii could only watch as the perfection of her creation was marred. Click here to return to the World of the Storm Below, or click here for the next entry. Every book you read can teach you something to help improve your writing from pitfalls to avoid to examples to follow, and in this series of blog posts I’m going to talk about the authors that have had the most impact on me and my writing, and what I took away from them. 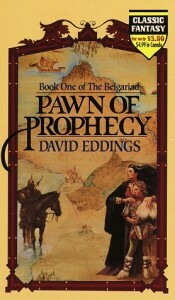 Today is David Eddings. 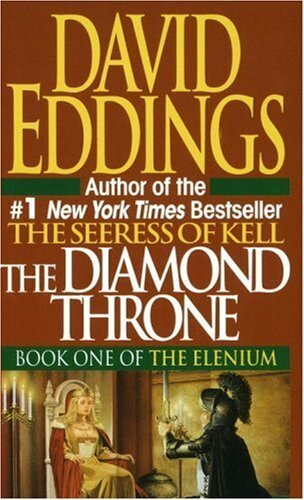 If you don’t know, David Eddings wrote several popular fantasy series first by himself and later with his wife, Leigh, sharing a co-author credit. He also says his wife deserves the co-author credit for all his writings. Like me, David Eddings grew up near the Puget Sound and it definitively showed in his writing. It rains a lot in his books, and his characters are always worrying about the weather. If you didn’t know it, the Seattle region from October through May is almost always gray skies and drizzling rain. 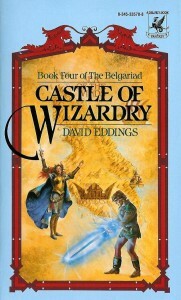 I was introduced to David Eddings by my mother. I was in the sixth grade and we had just moved back to South Hill, Washington. My dad was in the Air Force and we had just spend the last two-and-a-half years in Alamagordo, New Mexico. Previously we had lived in Washington and my parents had rented out the house they owned in South Hill while we were exiled (as I thought of it) to New Mexico. When we moved back, I thought my life was back on track and I was finally free of that hot, dry, and very dust state. Only I had friends in New Mexico, and when I moved back I learned my best friend had in Washington had moved away, and the only kid in the neighborhood I didn’t get along with before moving. I was getting picked on at school and was miserable, so my mom, knowing I had just gotten into the Lord of the Rings, went to the local Waldonbooks and asked the clerk what a good fantasy book would be. And he recommended ‘Pawn of Prophecy’. 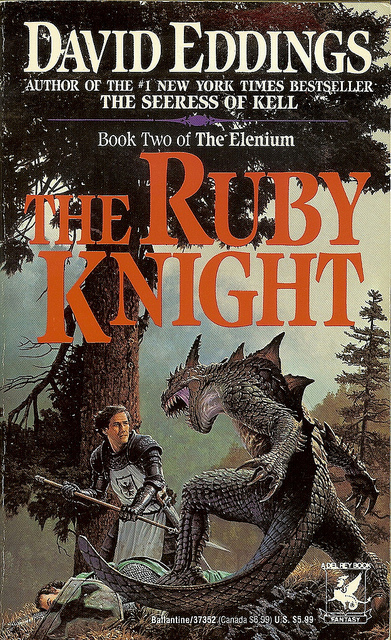 ‘Pawn of Prophecy’ would probably be counted as Young Adult these days, and it and its sequels were the perfect books for a lonely, preteen boy. You follow Garion as he goes from anonymous scullion to saving the world in the five book ‘Belgariad’ series. It’s a fun series with great characters, and is one of the best quest-driven fantasy series I have ever read as you follow Garion and his companions on a journey around their world. I learned two lessons in writing from David Eddings and the first was dialogue. David Eddings was a master at witty, bantering dialogue. His characters have great personality and they display them in their words, often to humorous effect. My poor DM (Dungeon Master or the guy who runs a Roleplaying Game session, such as D&D) can attest to my love of banter and mocking my enemies as I fight them, mocking his enemies as they try and reveal their evil plans, and it’s all because of David Eddings. His heroes always make light in the face of their enemies with a fun bravado worthy of a hero of an epic story. Great dialogue makes your characters come alive and feel like real, fleshed out people. And if you can make people believe your characters are real, guess what, they come to care about them. They want your characters to succeed, to be happy, their rooting for them. An emotional connection is formed, an investment that will keep your readers coming back for more. You can have the idea for the most amazing, thought-provoking, never-been-done story, but if your character dialogue is flat and boring, people might never make it far enough into your book to discover this fact. The second lesson I learned is the love of the journey. 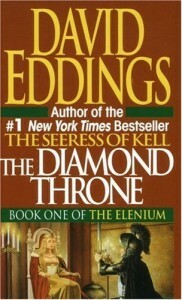 David Eddings is most known for two universes the Belgariad/Mallorean (consisting of two pentalogies, two stand-alone novels, and a book on the world building) and the Elenium/Tamuli (consisting of two trilogies). The four series are all quests stories with our heroes traveling across the known world in the hunt of their goals. They travel, they see the world, and experience diverse cultures. 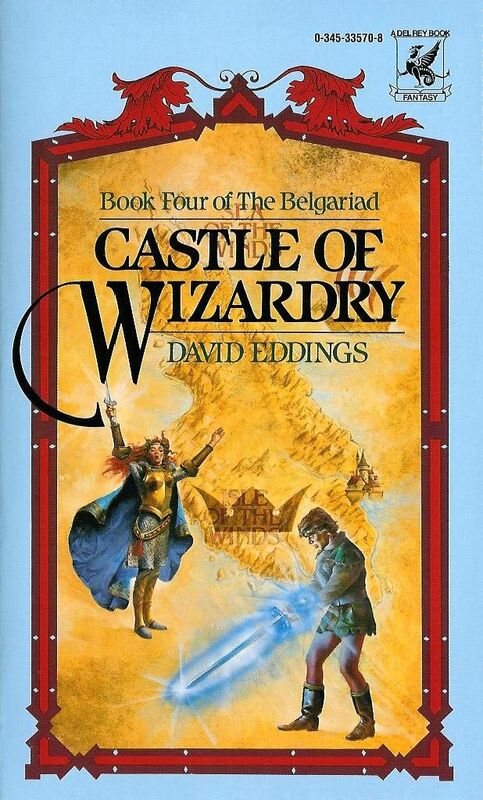 When you open a David Eddings novel there’s a map, and by the time the series is over, the heroes will have traveled through every land depicted, sharing you the world he’s created, and doing so in a very logical manner. It doesn’t feel forced as his characters somehow travel through ever local for the sake of it, his story plotting was very well done. So a lot of his novels are about the journey. What the characters experience and learn as they travel in the pursuit of their goals. They make you want to go out and wander through the world and just experience life. 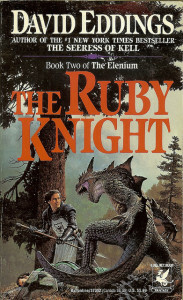 His books had a sense of adventure and life to them that made you want to keep reading and find out what happens next. With a book, it’s not the destination that really matters, it’s how you get your characters to that point. If you don’t write them a great journey, your readers will not stay on the road with them. So give them the best journey you can, full of interesting obstacles, clever enemies, and dangers for them to overcome. Your journey doesn’t have to be crossing the known world, it could be as simple as going to the local store, navigating through politics, exploring an excavated ruin, traversing the minutiae of the legal system, or even a trip through the shattered psyche of your character. Make it interesting and keep your readers engaged! 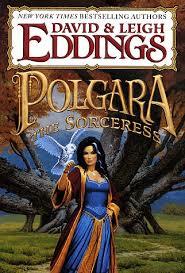 Great dialogue and a great journey are what I took away from David Eddings work. Make your characters seem real and give them an interesting journey and your readers will stick with you to the end, then will look forward to the next book you write. And that’s what all of us struggling writers are looking for, fans who will love the worlds we share with them. Every book you read can teach you something to help improve your writing from pitfalls to avoid to examples to follow, and in this series of blog posts I’m going to talk about the authors that have had the most impact on me and my writing, and what I took away from them. First up: J.R.R. Tolkien. JRR Tolkien is the reason I love fantasy. 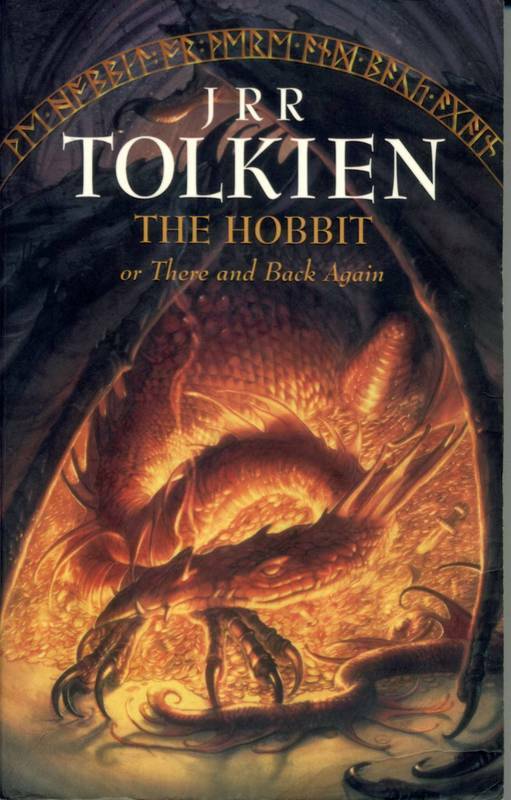 From the time my uncle gave me a copy of The Hobbit in the fourth grade to when I read the Silmarillion and The Unfinished Tales looking for more Middle Earth to consume after I read the Lord of the Rings, I was hooked on fantasy. It was the stepping stone that gave me this wonderful, fantastical world that is Fantasy. Everywhere in Tolkien’s world there is some new magic to find, whether your traipsing through the Old Forest hoping Old Man Willow doesn’t take a dislike to you, or crossing the Dead Marshes and trying to avoid the lure of the candles. I learned the joy of awe and wonder. But it wasn’t just my love of Fantasy that I learned from Tolkien, he taught me one of the greatest truths: nothing is free, everything truly great from saving the world to saving the shire is paid in pain. Your character’s journey shouldn’t be easy. Things shouldn’t just fall into their laps. They have to reach and struggle to overcome the obstacles placed before them. And those obstacles should have a lasting effect on the character. 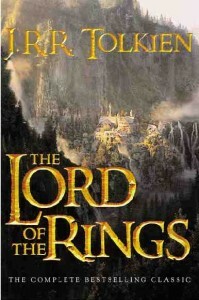 Everyone is changed in Lord of the Rings, but none more so than our erstwhile hero, Frodo. Tolkien served in the trenches in WW1, and it shows as Frodo marches into his own literal hell and walks out carrying not only physical wounds, but emotional wounds. And not just Frodo, all the Hobbits were marked, changed, suffering their own PTSD. They return home and find they cannot talk about their experiences to anyone, because only when you’ve gone through suffering can you understand it. 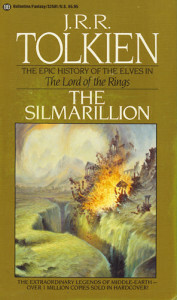 Tolkien learned the lesson that nothing is free, and he taught it to his characters. Do not be afraid to let your characters suffer. Do not be afraid to let your characters be scarred by their obstacles. If it comes too easy then where is the tension? Where are the stakes? How can your readers care if they know your character is going to succeed easily. And that’s the last lesson Tolkien taught me. If your readers care about the characters you’ve written, the world you’ve created, than you works will be remembered long after you’re dead.